3 interstitial castings of people engaged in intimate gestures of persuasion. 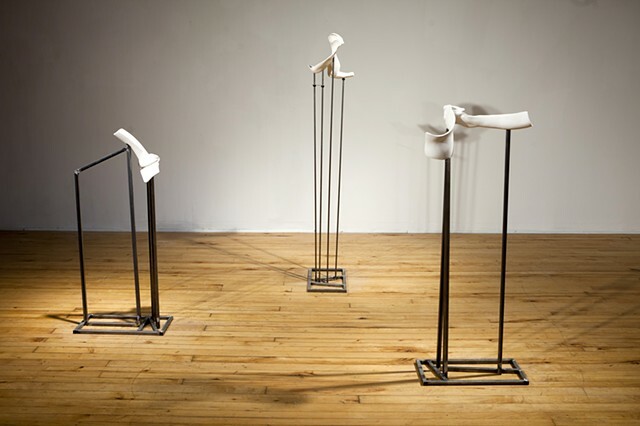 Interstitial Castings are negative space castings of people engaged in choreographies of the intimate. They are the space between two people engaged in iconic gestures like air-kissing, or pushing one another. Suggest and Persuade are the interstitial space of one persons hand on the small of anothers back. Strong Arm is the interstitial space between two people as one grabs the others hand and pulls.